There is an air of nostalgia in this painting. Yusoff Abdullah translates the essence and ambiance of an evening sun into his artwork. 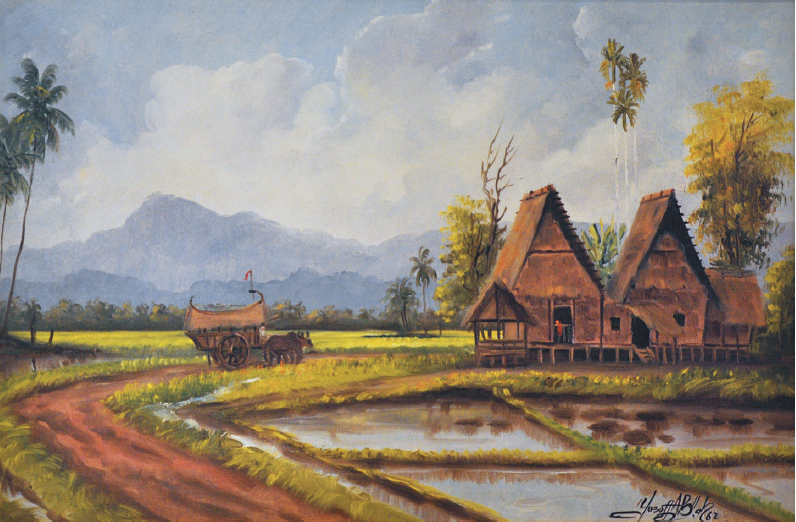 It reminds one of being close to nature, away from the hustle and bustle of the city life and of the good old days where one sought solace in the midst of nature, teamed with Yusoff Abdullah’s expertise in his techniques.